England's brigade overturn a fair chunk of India's first innings total, but lose both of their reviews as the hosts lose Joe Root on the brink of lunch and go into the break on 89/4. England is trailing by 18 runs. Indian bowling line-up starts to thrashing England batting line-up. 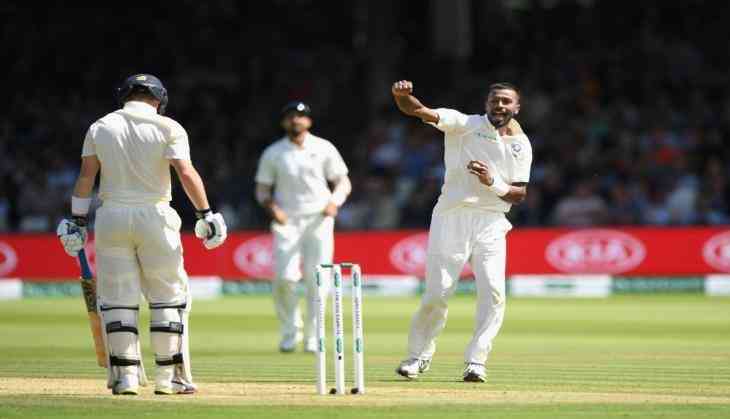 India's dual pacer Ishant Sharma and Mohammed Shami strikes and quickly hunt England's openning batsman i.e. Alastair Cook and Keaton Jennings. Also Read: Watch: How Indian shooter Abhinav Bindra change the Indian Olympic history 10 years ago ? Watch: How Indian shooter Abhinav Bindra change the Indian Olympic history 10 years ago ? READ NEXT >> Watch: How Indian shooter Abhinav Bindra change the Indian Olympic history 10 years ago ?